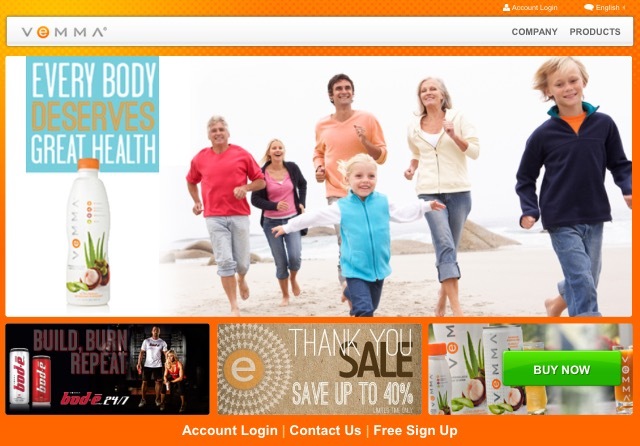 Vemma Review – Is It An MLM Scam? 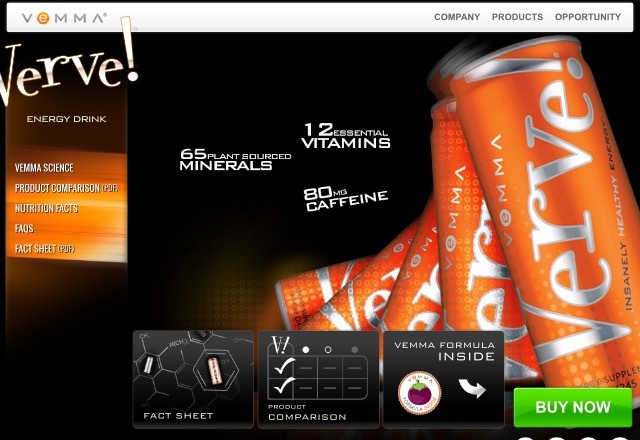 I purchased the Verve Energy Drink when I was in college and tried to get into the Vemma business to see if it would work. But I was not successful with it, and I only tried it because it was supposedly a HEALTHY energy drink which I had never heard of. It is a health and fitness product line that relies on MLM (Multi-Level Marketing) tactics to sell and recruit new members to the sales force. 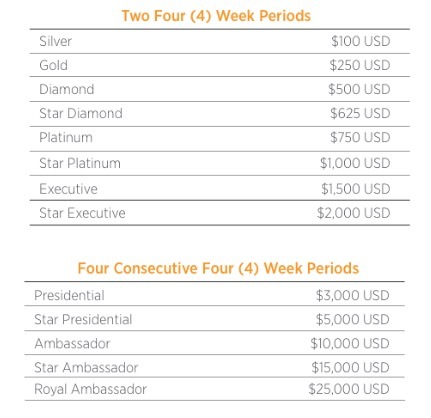 The company offers both “immediate” and “long term” income based on standard MLM payment plans. Learn How to Make REAL Money Online! Plenty of products to choose from whether you are buying them for your personal use or marketing them. Company provides each member a back office to work from and a free marketing website. There is plenty of advertising materials to choose from including physical items. 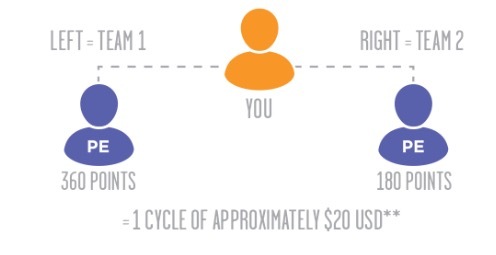 The referral plan provides a higher than average commission rate. Has been shut down by the FTC! Initial start up price is fairly substantial. Some of your income amount depends on the performance of others. Must maintain a set amount of sales for each month to remain active. There is no limit to how many reps are allowed in each area. Who is Vemma Really For? It is a decent business opportunity for anyone who is already comfortable with the MLM business principle, and knows a little bit about what to expect from it. In addition to basic understanding of MLM techniques, Vemma does require users to have the financial ability to pay for a selected business pack and make recurrent purchases to remain active. It is important to remember that if you are unable to make a sale in a month, you will have to buy something to keep the right number of points in your account. This can get very pricey considering the entire principle of most MLM’s (Vemma being different) is paying inflated prices so that the compensation structure can live on in the first place. Paying more to stay in the business is a red flag for me! They are taking advantage of the youth in the YPR(Young People Revolution) by making them promote the Verve Energy Drink. Saying that it is a healthy energy drink that sells itself, and that is how I got dragged in! It relies on different marketing styles from their members, but does provide training as well as a lot of different tools to accomplish that. Training includes a suggested but not required DVD (extra cost of $49.95) called Driving Force. Members on your team are also valuable resources for tips and training. People recruited into the program are often complaining about “hearing” about results, but never seeing results. This is very true with many pyramid or MLM programs, as the people up top, often times JUST the CEO’s and company owners, are the ones that are making all the money. They are in the positions below! The out of the box tools that the company gives you are very limited. They include a free marketing site (which is essentially just an affiliate link to their site, and useless if you are not familiar with building websites), a free mobile app (same thing), and marketing products including catalogs, guides, brochures, window decals, and even a messenger bag. Typical stuff that any MLM would provide. While there is a general Vemma community, each member is also part of a team. The team is usually comprised of the “blind leading the blind” and few people actually achieve success within this program. It is difficult to get help from a sponsor that actually knows what they are doing. Don’t take my word for it, just look directly at the Vemma reported payouts. Over 78% of people who join Vemma never make their money back, and fewer than 1% of people ever earn enough in commissions to LIVE off of. This is a HUGE problem! How Much Does Vemma Cost? You have likely been exposed to shameless marketing from a friend or a family member if you are reading this review in the first place. I saw a Vemma review, and one of the people said that he would “trick” his friends to come over to his house so he could pitch the scheme to them. To me, that is a horrible friend, and what kind of opportunity requires you to trick your friends!? To a normal person this would set off red flags. Members can choose to come in as a Silver member ($499.95) or a Gold member ($999.95). Additional expenses, including marketing material and extra training DVDs, can increase this initial expense. There are also some ongoing expenses, including recurrent purchases to maintain active status. Why should you have to pay to keep promoting a healthy product? That isn’t healthy for you! This program is rife with complaints, so you can expect that as you start recruiting people, you are going to be at the receiving end of these complaints (and your friends and family are going to blame you for the scam). It is one thing to promote something that you believe in and that you feel is “good value”, it is another thing to be part of a scheme where you are required to promote a “complaint heavy” program to others. Vemma has many of the same pros and cons of other MLM companies, so if you are expecting something new and exciting you will be disappointed. One of the biggest problems with all of these types of networks is simple: Since they do not restrict the number of members they have in a single area, there is a very high risk of over-saturation. When that happens, new business becomes nearly impossible to find, and the competition will turn vicious and ugly. Another issue is the fact that part of your income will always rely on the performance of others, which means that not only do you have to monitor your own activity, but that of others as well. You also have to remain aware that other people are relying on your performance in the exact same way. Plain and simple, if you are looking to create a good business, Vemma is not the way to go. There are much better and far more legitimate opportunities online. If you are tired of the scams and want to learn how to create a business online, here is a FREE way to learn. ***URGENT UPDATE: Vemma has been shut down!! They have been classified as a pyramid scheme by the FTC. The claims are that they were making over $200 million per year off of their illegitimate scheme, and the initial stages of the shutdown have begun as of August 26th, 2015. If you have questions about my Vemma scam review, or have any experience with Vemma (or their product Verve), please leave a comment below with your thoughts on the program. I would love to hear about your experience. I’ve been involved in MLM’s before and it’s just a difficult way to build a business. I too had tried to get my friends and family to join and it’s just as hard to get them to join as it would be a stranger. Not only that it can get uncomfortable at times and they may avoid you because they think you’re gonna throw another sales pitch to them. Imagine facing everyone when the FTC shut down the whole Vemma MLM opportunity. This is why I stay clear of MLM businesses they can be so close to a scam. Thanks for sharing your great review.